A lot of people seemed to like this simple song dedicated to my first daughter, Niamh, when we recorded it a while ago, so, ahead of its upcoming release on Spotify and iTunes, we made a video. It’s mostly just the moon and clouds, but the images seemed appropriate for a song about love, the passing of time , mortality, memory – all the great themes that pass through your head when you lie with your child asleep on your chest and you can just feel her growing. Put on your headphones, click on the full screen icon at the bottom right and, if you’re on your phone, turn it sideways. It might take a few moments to buffer and start playing, depending on your connection speed. Let us know if you enjoy it in the comments. Very sweet Gavin. You must be so proud of her. Thanks John. More sad than sweet, maybe. 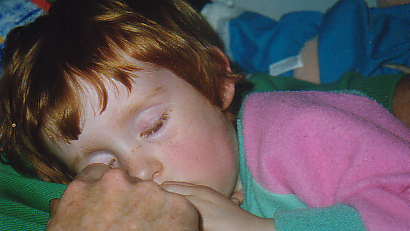 She’s all grown up now – and yes, I am very proud of her.